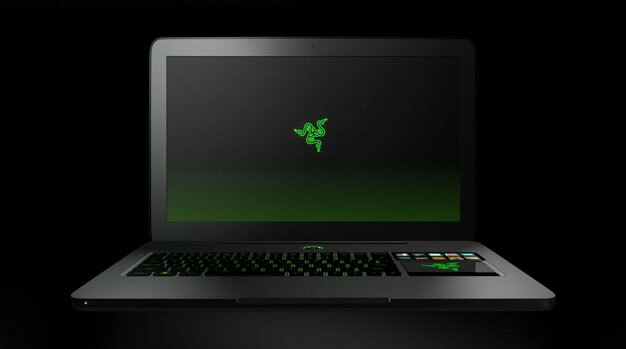 Hot on the heels of today’s release of the new Windows 8 OS, Razer has announced that its sweet Razer Blade gaming laptop now comes with Windows 8. After looking at the specs of these gaming laptops, I would have to say that you will be on the cutting edge (yes, pun intended) with the Intel Core i7 and nVidia GTX GPU powering your system. While I haven’t experienced the new Windows 8 yet, some new features include a new Start screen, a Windows Store for apps, and cloud storage. I can only imagine it comes with many more improvements based upon the Windows 7 OS, which I have come to know and love, although I’ll be honest that I am not a fan of the new Start screen. Razer would also like you to know that you can still get Windows 7 installed on your new laptop if you so desire. Razer has begun taking pre-orders, so if you are in the market for a new gaming laptop, head over to the Razer Blade product page.